Contact person: Professor Maria Lantz, President of Konstfack since June 2012, phone: +46 (0)8 450 41 00. Previously Maria Lantz held the post of senior lecturer and pro-vice-chancellor at the Royal Institute of Art (KKH) in Stockholm. There she worked in the MejanArc program which offers continued professional development for architects, designers and artists, where she was responsible for the Art+Architecture project program, and involved in India related projects. 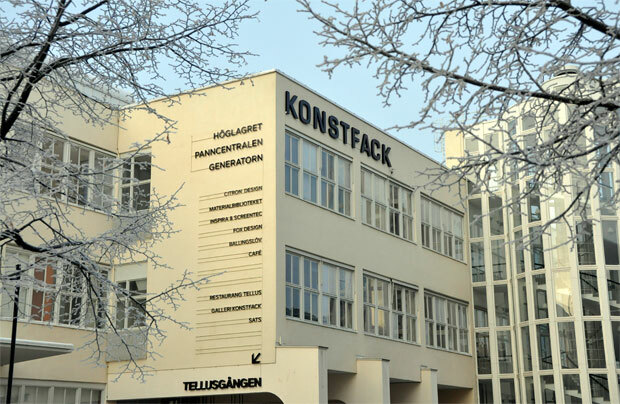 Konstfack, founded in 1844, is unique among Swedish art schools in offering both arts, craft, design, and art teacher education. Konstfack is an institute of higher education run by the Swedish state. The study programmes are between three and five years and lead to BA and MA degrees. It has 10 departments; • Animation & Animated Film; • Art Teacher Training; • Ceramics and Glass; • Fine Arts (Photography, Painting, Sculpture, and Curator Programme); • Graphic Design & Illustration; • Industrial Design; • Interior Architecture and Furniture Design; • Metal Design; • Textiles; and • Colour & Form. All departments are housed in the Konstfack building in Stockholm, with one exception: The Department of Animation and Animated Film is located in the small town of Eksjö. Dr. Anna Laine is an anthropologist and artist, specialised in Visual Anthropology, who defended her doctoral dissertation entitled ”In Conversation with the Kolam Practice. Auspiciousness and Artistic Experiences among Women in Tamilnadu, South India” at the Division of Social Anthropology, School of Global Studies, University of Gothenburg, on Saturday 28 March 2009. The faculty opponent was Dr Amanda Ravetz from the Manchester Institute for Research and Innovation in Art and Design (MIRIAD) at Manchester Metropolitan University, UK. In her doctoral thesis Anna explored the Kolam, a South Indian practice where women daily draw geometrical images in front of their homes to invite the deities. Through this practice, women engage in social and religious processes. They generate an auspicious atmosphere and become constructed as feminine beings. Temporal and spatial rhythms are defined and reproduced, and the house is made into a home. At the same time, the practice provides a space for exploration where kolam makers can experiment with changing circumstances and values. More information about the thesis. Anna then worked for some years as Assistant Professor at Dalarna University, Campus Falun, and its School of Education and Humanities from the fall 2009, and then served as Curator for the National Swedish Museum of World Cultures, (consisitng of the Museum of Ethnography; the Museum of Mediterranean and Near Eastern Antiquities; the Museum of Far Eastern Antiquities; and Skeppsholmen Caverns, all five in Stockholm; along with the Museum of World Culture in Gothenburg) till she joined Konstfack in Stockholm. Anna Laine now is teaching at the Masters programme in CRAFT! (Ceramics and Glass + Textiles + Ädellab). This is a 120 credits, full-time studies programme carried out in cooperation between the divisions of Ceramics and Glass, Textiles and Ädellab. Full information about the programme. In September 2011, Dr. Anna Laine was awarded SEK 2.2 m as a research grant from the Swedish Research Council for a three-year project (2012-14) within the field of Artistic Research. The project is entitled ”Reconfigurations of Identity in a Deterritorialized Setting: The Visuality of ´Tamilness´ in Diasporic Sites on the Web and in Neighbourhoods of London”. The aim of this project was to explore the role of visual appearance in the construction and performance of cultural identity, with an ambition to enhance the knowledge on how social, political, religious and aesthetic issues interact in reconstituting visual aspects of identity among ethnic minorities. The specific concern was related to how norms and practices in the Tamil homelands of South India and Sri Lanka are reconfigured in relation to new circumstances and values in diasporic deterritorialized sites. With personal experiences of both artistic and anthropological practice, the aim was to expand the overlapping space between traditional boundaries that separate theoretical and practical knowledge. As an outcome of this research project, and based on eighteen months of ethnographic fieldwork in London, Belfast, and Jaffna, Anna Laine in late 2015 published an article entitled ”Migration Research in Collaboration with Tamil Sri Lankan Artists in the British Diaspora” in the Open Access and peer-reviewed Journal for Artistic Research (JAR). In the article, published in the 8/2015 issue of JAR, she has investigated how artistic practice is used among British Tamil artists with a Sri Lankan background to explore their multiple belongings and in-between notions of homing and migrating. Through the author’s position in the overlap between art practice and anthropology, the exposition poses questions about the possibilities of an interdisciplinary approach to artistic research. The additional overlap with the Tamil artists’ profession challenged the relationship between self and other in the research process, and knowledge has consequently been produced in a collaborative form. Go for the JAR article. Anna has also published another article on the same issue in the Francis & Taylor peer reviewed magazine World Art. The article posted in the 2/2015 issue of World Art is entitled ”Locating Art Practice in the British Tamil Diaspora”. She locates the position of art practice within the Sri Lankan Tamil diaspora in the UK, focusing on three artists who use their art making to investigate experiences of migration and multiple belonging, and shows how absence of institutional support have constituted a marginalisation of their work. The artists’ preference for visual art is at odds with the Tamil nationalist construction of an identity rooted in ancient poetry and drama, and Sinhala-focused support for artists in Sri Lanka has formed an invisibility of Tamils that extends to the British art scene. This situation is illuminated through a perspective that connects nationalist ideology with aesthetics of everyday life, and the analysis is expanded by gender and queer critiques of nationalism, which provide overlapping perceptions across South Asia and the diaspora. Go for the World Art article. Besides the anthropological work, Anna Laine has also been engaged in an artistic project, a form of Visual Anthropology, which involves the Kolam tradition. Anna, as a photographer and film maker, has collaborated with a Kolam maker in Tamil Nadu, S. Malathi Selvam, as well as with the Swedish artist Kristina Matousch, based in Malmö but trained at the Royal University College of Fine Arts (KKH) in Stockholm, and Dr Alka Pande, Consultant Arts Advisor and Curator for the Visual Arts Gallery at India Habitat Centre in New Delhi. In August 2008, Ms. Laine was awarded a SASNET planning grant to organise a series of interdisciplinary workshops titled ”The Kolam Practice of South India – in Dialogue with Anthropology and Art Practice” with Dr. Pande and the other partners mentioned above. The aim of the workshops was to explore a new interdisciplinary approach. Instead of transgressing the border between natural sciences and the humanities/social sciences, this application concerns the border between sciences, in this case anthropology, and art practice. More information about the 2008 SASNET planning grants. During the period 13 November 2010 – 16 January 2011, the Museum of Ethnography in Stockholm presented an exhibition on Kolam, made by Anna Laine. The exhibition was entitled ”Kolam – flyktiga mönster för ändlös lycka”. Later, in September–October 2011, it was also on display at Kulturum, Kulturhuset Blå Stället in Angered, outside Gothenburg. During the period April–June 2012, the exhibition was also shown at the School of Oriental and African Studies (SOAS), University of London. Konstfack has a global network of partner universities. There are co-operation agreements with around 60 schools in 26 countries, including National Institute of Design (NID), Ahmedabad, Gujarat, India, which is the main design school in India; its 250 or so undergraduate and graduate students come from all over the country, are generally very bright, and usually end up in influential positions. 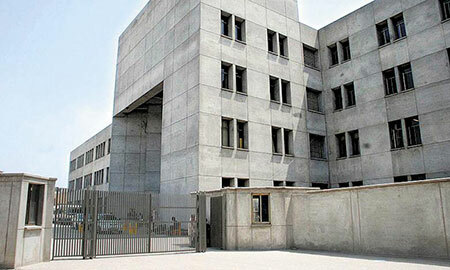 NID is also conected to design centres at the celebrated Institutes of Technology in Mumbai, Delhi and Guwahati. Already in 1994-95 Tania Alyhr spent time as a guest teacher in Ahmedabad, funded by a grant given from the Swedish Council for the Renewal of Higher Education (Rådet för högre utbildning), an institution established by the Swedish Parliament in 1990, to support the development of teaching and learning in undergraduate education. Later on the mission was broadened to include postgraduate education). From 2002 Konstfack was formally involved in collaboration with NID for some years through the Linnaeus-Palme exchange programme. Grants made it possible to send 1-2 teachers and 2 students from the Textiles department to the National Institute of Design in Ahmedabad every year, and an equal number of Indian teachers and students to come to Konstfack in Stockholm for a period of 5 years. Tania Alyhr, Senior Lecturer & Textile Artist & Department administrator Ädellab, then working at Konstfack’s Dept. of Textiles, gave numerous lectures during these years, and taught as a guest lecturer in Ahmedabad. More information on the South Asia related Linnaeus Palme grants in 2004. Tania Ahlyr keeps on her interest in Indian textiles, and now leads Swedish groups of tourists on textile tours to Western India, and also lectures at different places in Sweden. Besides, she supervises Swedish students who like to do project work in India. Instead the formal collaboration between Konstfack and NID in Ahmedabad has been taken over by Professor Ronald Jones (photo to the left), heading the Experience Design Group within the Department of Design, Craft and Arts. At Konstfack, Jones also co-directs WIRE, the MA program in curatorial practice and critical writing. Besides, Jones is a Center Director at Konstfack for the Stockholm School of Entrepreneurship (SSES), an interdisciplinary initiative by Karolinska Institutet, the Royal Institute of Technology, the Stockholm School of Economics, the Stockholm University and Konstfack. 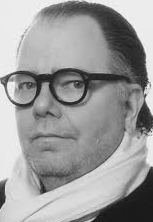 He is also a Guest Professor of Experience Design at NID, the National Institute of Design, Ahmedabad, India. More information about Jones. Another Konstfack staff member, Professor Christina Zetterlund (photo) at the Department of Design, Crafts and Arts has started to collaborate with NID in Ahmedabad. She attended a conference in Ahmedabad on Design History in 2013. It was jointly organised by NIS and the Design History Society, and was entitled ”Towards Global Histories of Design: Postcolonial Perspectives”. More information on the conference. In Ahmedabad, Christina also met teachers from NID’s handicrafts classes, as well as from Ceramics and Texiles, who are working in a respectful manner to develop the traditional handicrafts. Their meetings might result in future formalised collaboration. Professor Maria Lantz made a visit to Pakistan in the autumn of 2012. She visited the Pakistan Institute of Fashion and Design(PIFD), since Konstfack had had a student from this institute studying on a Masters programme paid for by a Pakistani government scholarship. The PIFD Vice Chancellor, Ms Hina Tayyaba, had previously visited Stockholm in August 2012, and then had discussions with Konstfack on possible collaboration. The ambition from PIFD was to stimulate existing programmes and expand its scope of study objects, for example regarding glass production, with Swedish assistance. During 2014, discussions were held to launch an exchange programme for teachers between Konstfack and not only PIFD, but also the prestigeous National College of Arts (NCA) in Lahore. And one Pakistani student, Kamran Babrak, is pursuing a Masters programme at on Jewellery & Corpus at Ädellab, Konstfack.